Have you ever wanted to try tap dancing? Missed out on your opportunity as a kid? Now is your chance! 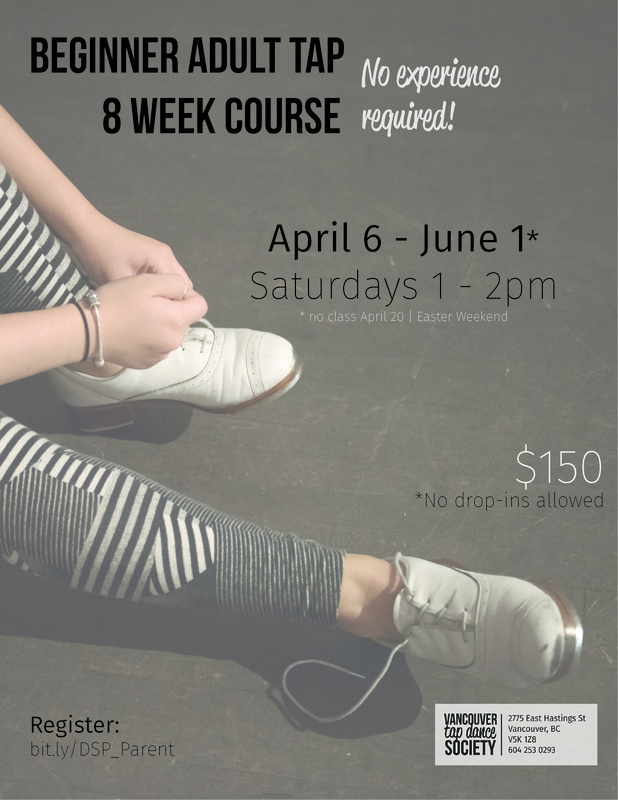 This 8 week course is geared towards absolute beginner tappers interested in learning. THREE hours of intense tap dance training with VanTap Artistic Director Andrew Nemr. Get down for any of the 1 hour classes or take all 3 for a full effect. Hour One – Technique – Steve Condo’s style Rudiments, Traveling Steps, Air Steps, and Turning Steps. There will be no hiding allowed. Hour Two – Choreography – New choreography will be built each month. 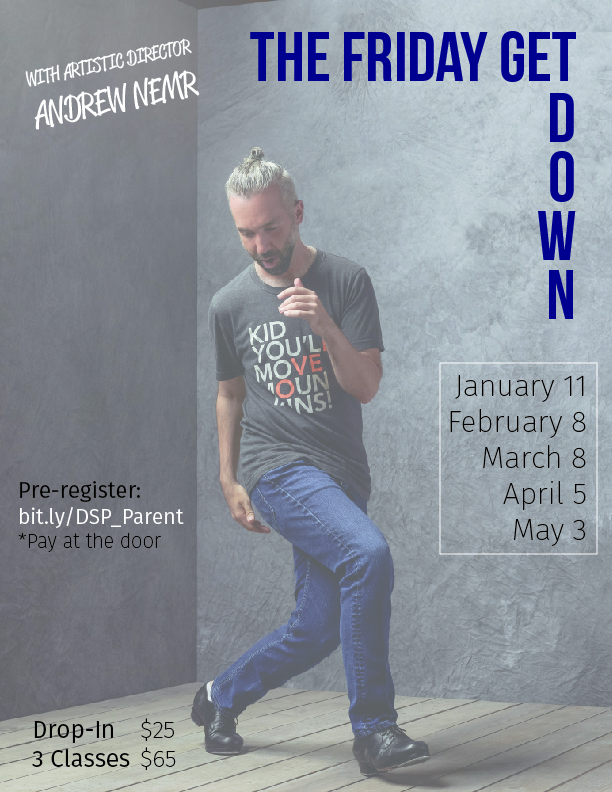 Modeled after Andrew’s experience in Savion Glover’s TiDii and his own tap dance company Cats Paying Dues, choreography will be ensemble-based and focused on listening, dynamics, and moving through formations. Hour Three – Improvisation – The circle, trading 8’s, the time step, the song as improvisational structure, groove based improvisation, and communal improvisation – all different ways of approaching the art of improvisation that will be explored as we journey together. Reserve your spot here, pay at the door. Have you been wanting a space to practice a few moves? Have a friend take a look at a piece of your choreography? Master a step? 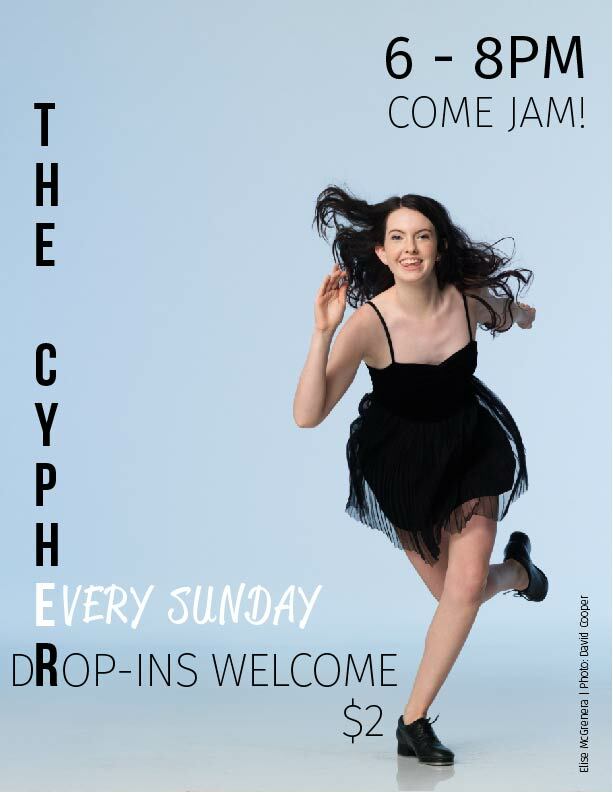 The Cypher is an informal practice session allowing you to get those feet moving for just $2!